The name of this plant is a bit of a mouthful, but we love Crassula Mesembryanthemoides. Featuring long and pointed leaves with frosty-white hairs, this one is a softer looking option for your pots. 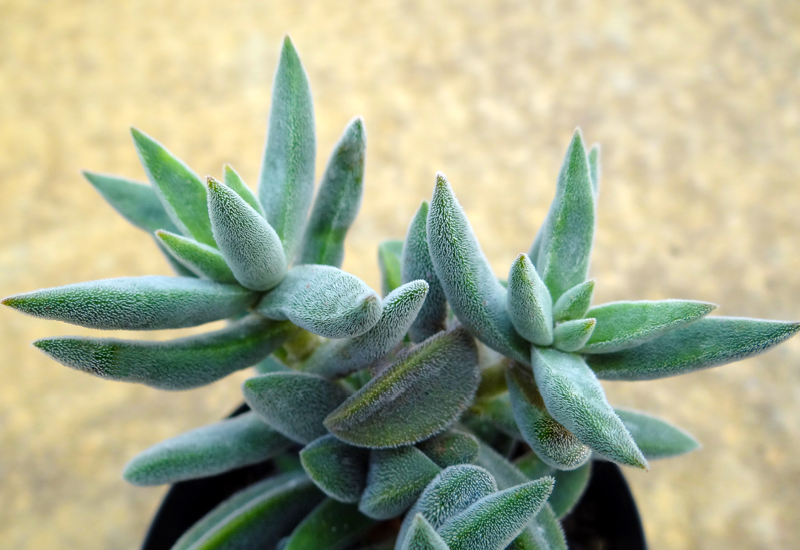 This succulent reminds us of powdery snowy peaks. In Summer you’ll adore the bright pink bell flowers which appear. Pop it in a sunny spot with the occasional mist of water.